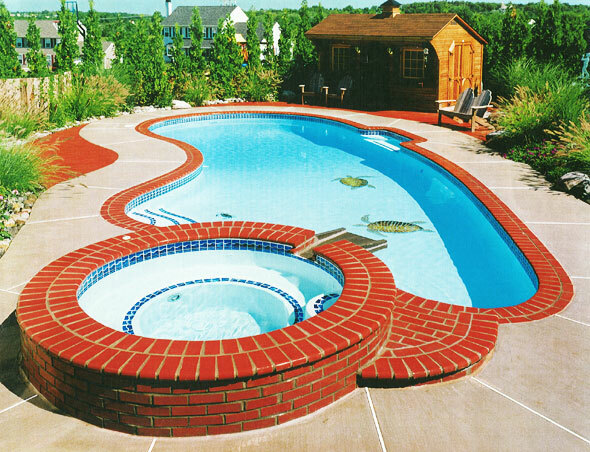 Aqua-Clear Pool & Spa, LLC is a Telford based small business that caters to residential swimming pool owners located in Montgomery, Bucks and Chester counties. Started in 1996 by Brian Hoover, Aqua-Clear has grown from a small cleaning company to a large full service company specializing in many aspects of swimming pool service and repair. Aqua-Clear Pool & Spa is owned and operated by Brian Hoover. Brian is a fully insured National Spa and Pool Institute (NSPI) “Certified Service Professional”. He is a “Certified Pool Operator” educated by the National Swimming Pool Foundation (NSPF). He is a licensed pesticide applicator certified by the Pennsylvania Department of Agriculture to add chemicals to public and private pools. The company takes pride in the fact that it has Northeast Spa and Pool Association trained employees on staff to personally answer your questions and give honest answers that will save you money and keep your pool looking like new. Aqua-Clear Pool and Spa handles such tasks as spring openings, winter closings, filter system repair and replacement, safety cover sales and installation, and chlorine generating system installations. We also have a crew that will maintain your pool throughout the summer or while you are on vacation. If you need personalized, trusted service from a local company that you can depend on for quick responses and honest answers, call Aqua-Clear Pool and Spa.